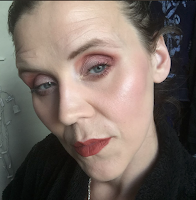 Hello, fellow Makeup Lovers I have my first makeup Blog in a really long time. 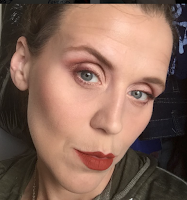 Yes, I know many of you come here for my Book reviews which are Staying but I want to start reviewing makeup again because I love Makeup. Also, I don't know how many Makeup blogs I will be doing. If this one turns out to have a lot of Views I will then create a Separate Blog for my Makeup reviews possibly. Now onto the review of the Toofaced Gingerbread palette. I bought the Toofaced GingerBread Palette from Ulta on Sept 16 and I received it on Sept 20th. 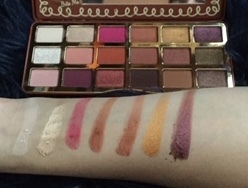 I have been playing with this palette ever since I received it. 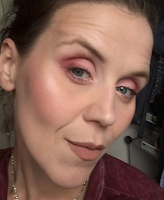 My First Impressions of the Gingerbread Palette is that the smell is Vanilla, not Gingerbread as many Claim it to be. It's a sweet Vanilla scent almost like a Cookie smell but it doesn't scream Gingerbread to me. 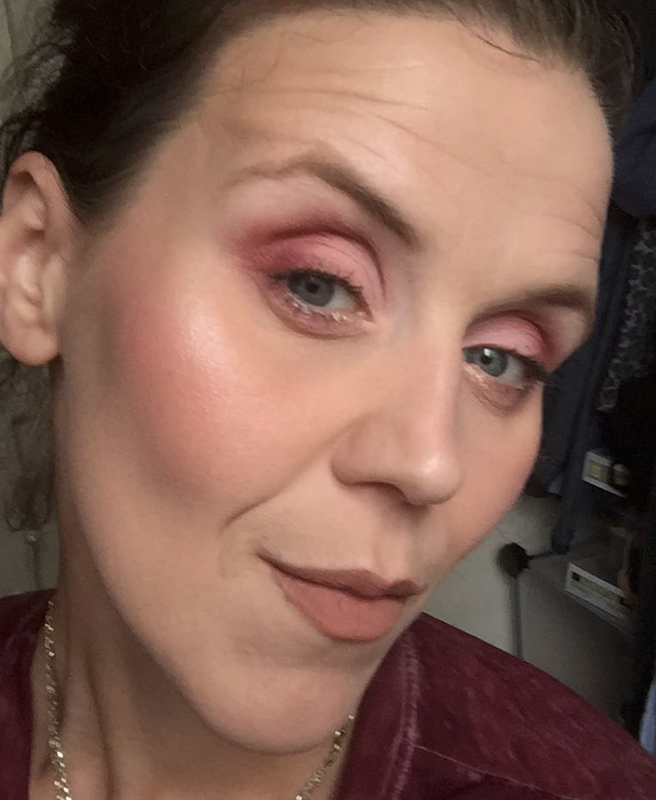 This happened with the Peach Palette too, it never smelled like real Peaches. Now back to the GingerBread Palette, the glitter shadows or Shimmer Shadows are gritty like I've experienced with too many TooFaced palettes over the last six years. The mattes are the usual TooFaced Butter mattes that they produce. But the Gingerbread Palette did swatch ten times better than the Fullsize white chocolate chip palette that came out last December. Now let's talk about those Glitter/Shimmer shadows that I mention above. These shadows are not painful gritty but gritty no less. Also, these shimmers/glitter shadows tend to be hit or miss. I find that a lot of these shadows work better with your own finger than a brush but that feels so unsanitary to me, it really does because who really remembers to wash their hands before doing makeup not many of us. So these shadows do take more time to build up, on your eye and you might have better luck with these shadows if you use a Setting spray to place them on your eye or even a crayon eye pencil. Now let's move on to the Mattes. They blended perfectly for me on the eye. They did not come across as a muddy mess to me either. Even after blending these colors together they don't come off as one entire color like some palettes can do. 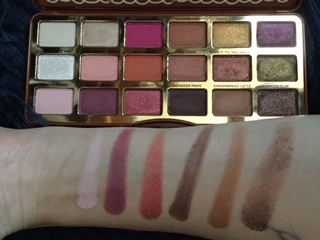 These mattes like all most Toofaced Mattes (minus the White full-size chocolate chip palette) come off as Buttery smooth. They work well together and are just beautiful. Now let's get down to the grit of the palette overall. I felt like this Palette lack lighter colors, it has at most four light colors. I feel like we could have used six light colors. Now I do get that the palette looks like it has six light shades, six medium shades, and six dark shades to help you easily transition when blending. But to me when using the palette that did not appear to be the case. This palette has, in my opinion, two light mattes and two light shimmer eyeshadows. One of the Shimmers is Frostbite and its super gritty, very glitter and less shimmer. Frostbite really doesn't work unless you use your finger and setting spray to apply to your eye. Its the one shadow I don't like in this palette. I honestly felt like we could have had a Light Lavender or a True white Matte put into this palette. That Shimmer is the only thing I don't like about this Palette. Honestly, I would still recommend this palette, if you can afford it at 49 dollars or if its the Only Eyeshadow palette you want for the Holidays. This palette reminds me of the Original TooFaced Chocolate Palette. In my opinion, this TooFaced palette is worth its price and worth buying if you enjoy higher-end makeup. I certainly don't regret my decision. I would give this Palette a 9 out of 10 stars on how amazing it is to me and How much I am going to enjoy it. I will have all of the links for this palette and where to buy it below along with my Social media. Thank you for joining me for my first makeup blog review.